I still have several days of our autumn holiday to recount, and before it slips my mind too far, I’m going to get these posts done! 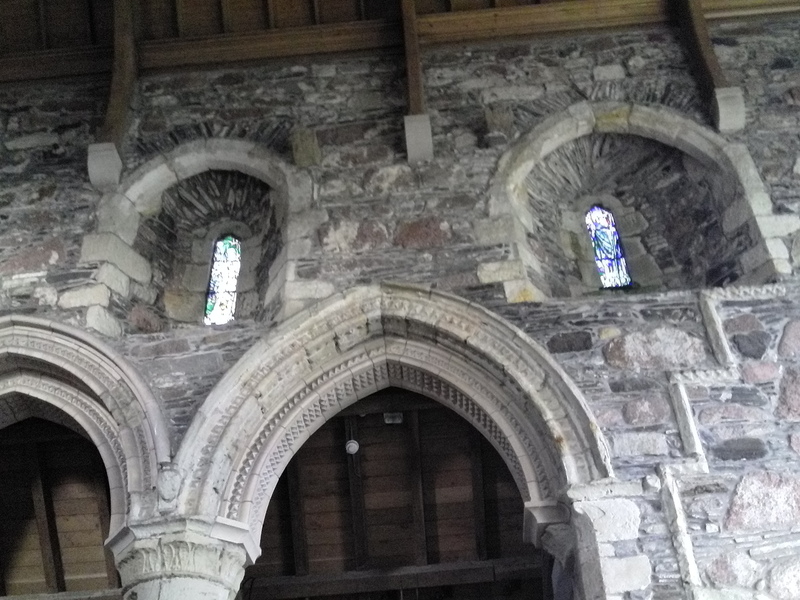 After our scary boat ride out to awesome Staffa Island and Fingal’s Cave, we didn’t return immediately to Mull, but instead landed on Iona – a tiny island with an amazing history and a ruined abbey that has been, and still is, a destination for pilgrims from all over the world. 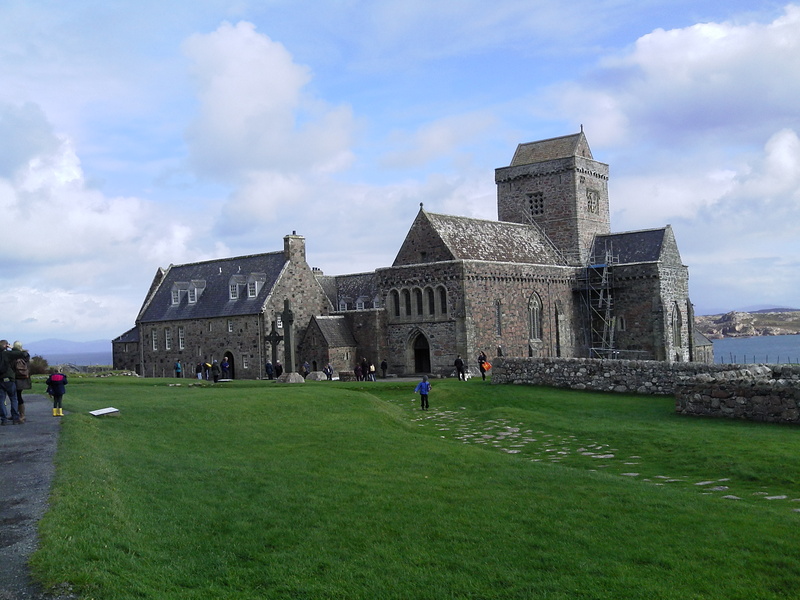 The monastery was established in the 6th century, so that’s a lot of people visiting over the centuries! 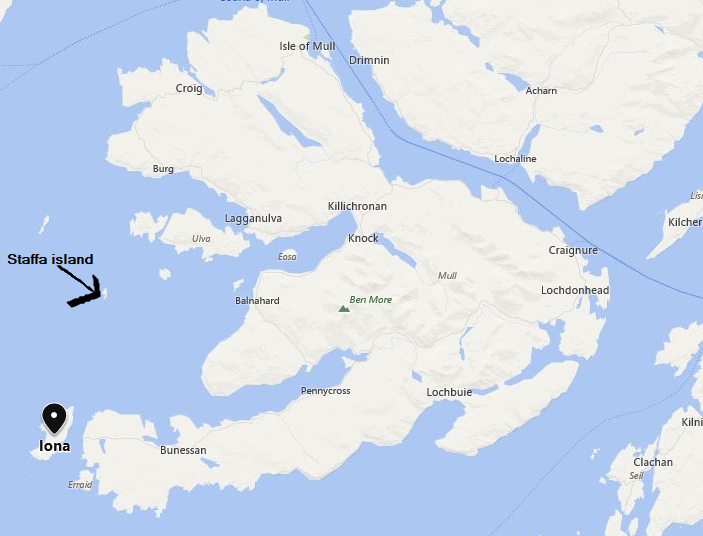 Iona is so small, and has so little in the way of road (less than half a mile, I would estimate) only residents are allowed to take cars there. And that’s reasonable – there is simply nowhere to drive! If you stay at the hotel (fabulous views, and looks very comfortable – we had afternoon tea there, and are considering going back to stay on another trip), you drag your cases onto the ferry and walk the 400m or so to the hotel. 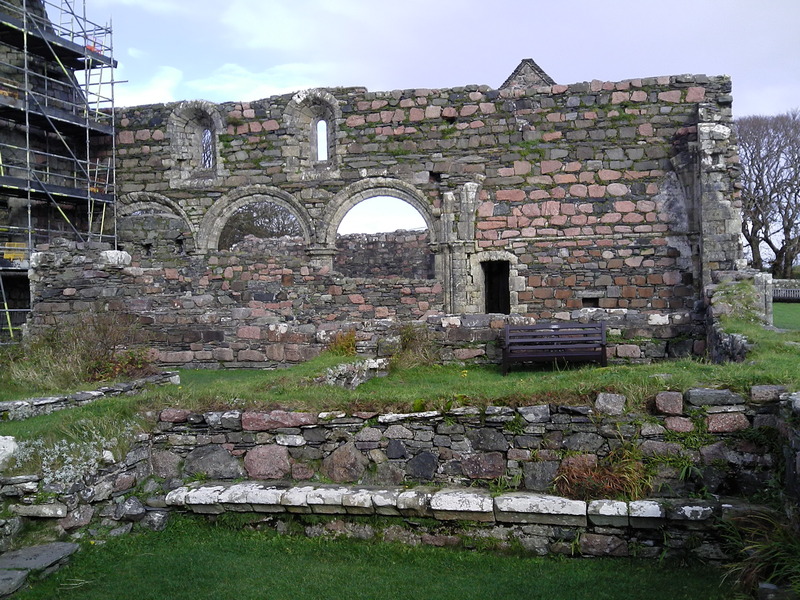 The first thing we looked at were the ruins of the nunnery, just a few dozen steps from the ferry slip. 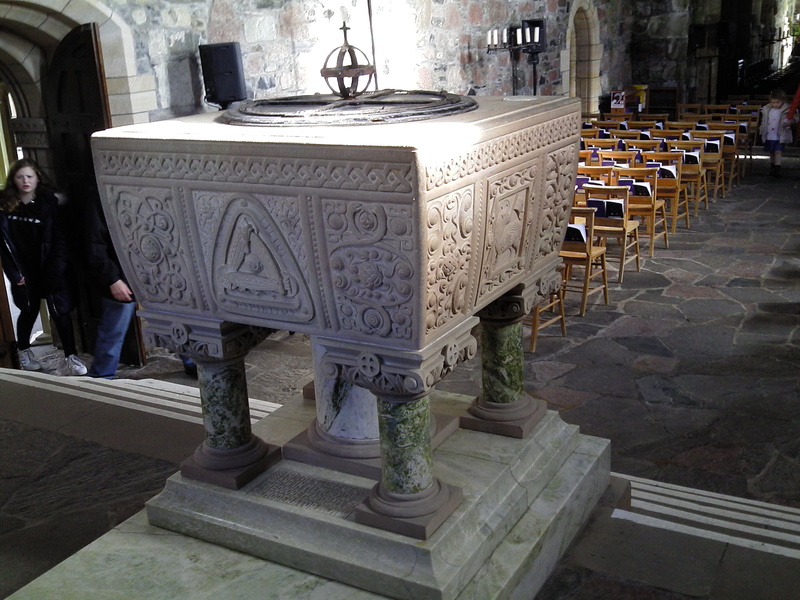 Information at the site gives a little insight into the women who came here to live out their lives in prayer and contemplation – it appears many were escaping abusive marriages, or were unwilling to be married off by their families. They ran the place entirely without men, and it seems they did a very good job of it, including running businesses that kept the place financially afloat, instead of relying on handouts from the church. They sound like an awesome bunch of strong women, in a time when women had no power over their own lives. Despite the quantity of tourists roaming the ruins, the nunnery maintains a palpable air of serenity. Moving on along the single street that leads to the abbey, we passed the first of the two rival cafes on the island – couldn’t resist snapping this hilarious sign. 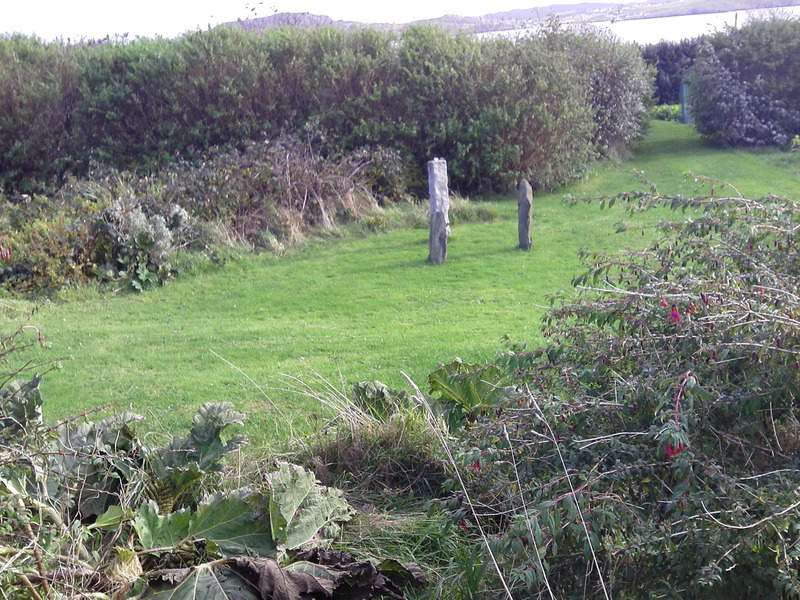 Just a little further along, we passed this garden with its own standing stones – how cool is that? So, on to the main attraction. 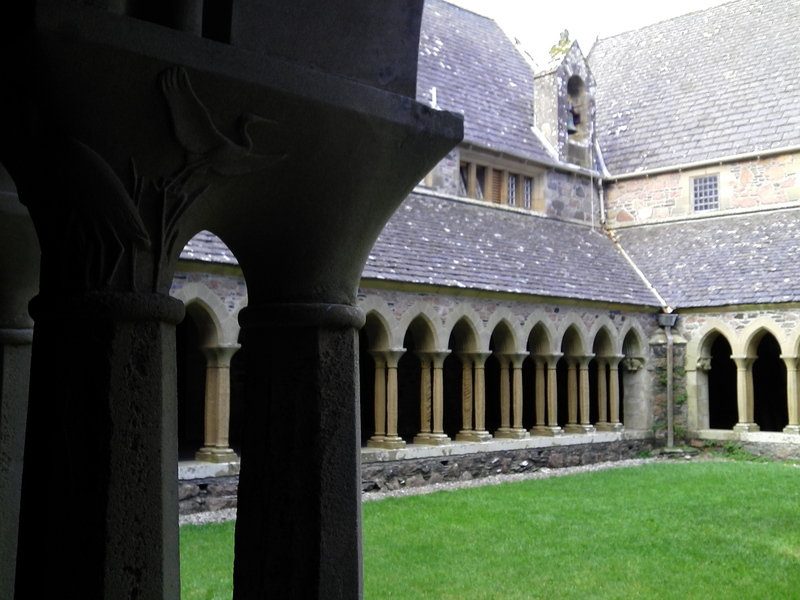 You enter the abbey grounds through the gift shop, picking up an audio handset that takes you on a guided tour of the abbey. You’ll hear it chattering away in the background of my video. We saw the abbey from the boat out to Staffa, and now we approached it from the landward side. The paving stones set into the grass are what remains of the ‘Road of the Dead’ – the path taken from the landing site to the abbey. 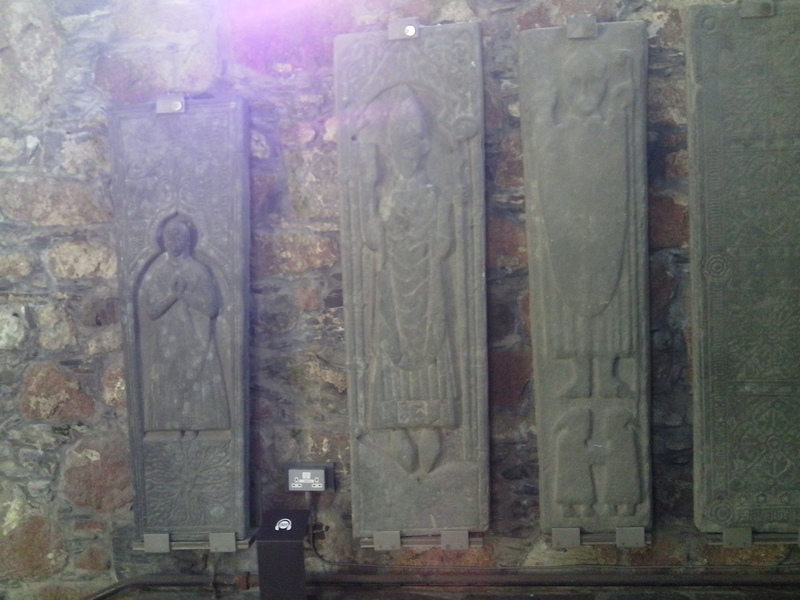 For centuries, the abbey was the favoured burial place for Scottish kings, as well as kings from Ireland, France and Norway. A reported 48 of them made their final journeys along this road. 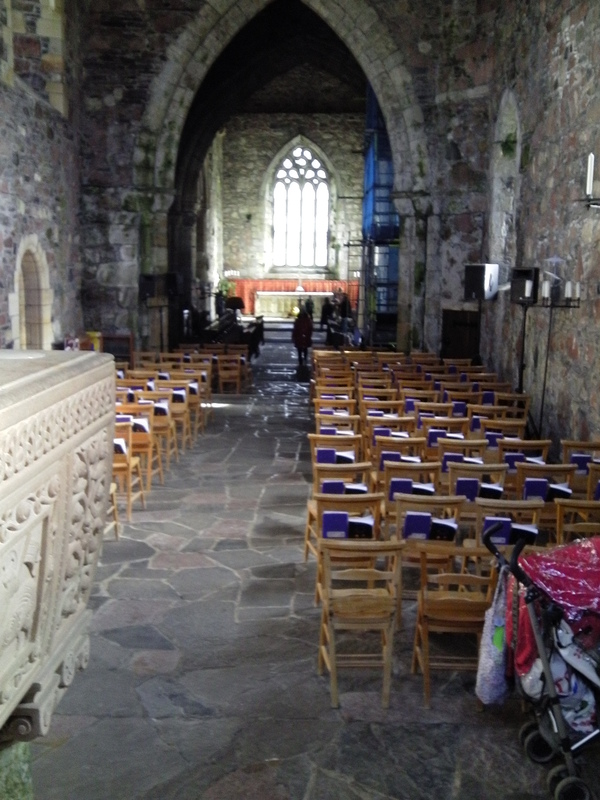 Looking straight at the medieval church, on the right is one of the huge, carved crosses, this one dating to the 8th century. 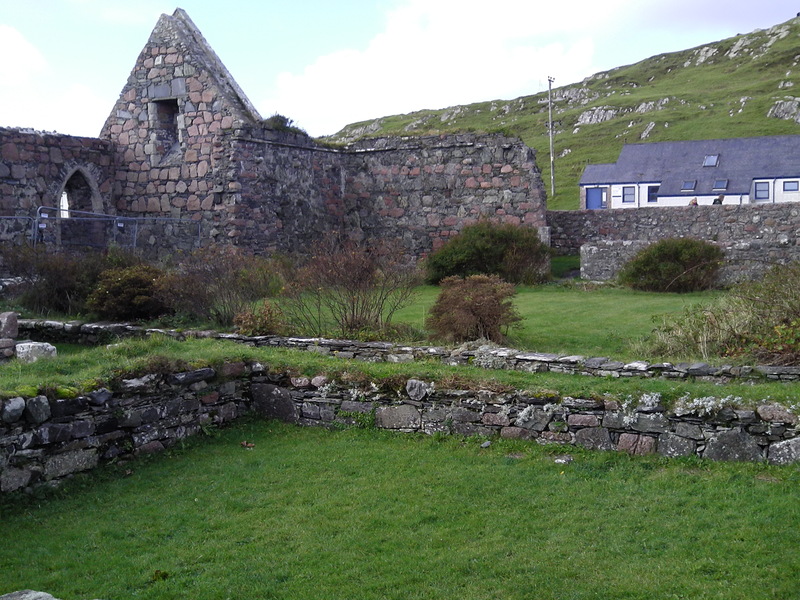 Columba must have been an extraordinary man, and his legacy is still felt here, on Iona, and also back in his home country of Ireland. 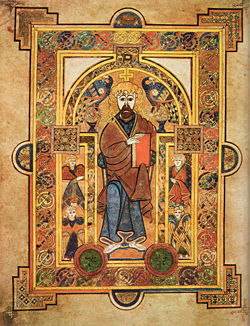 Probably the most famous legacy, aside from the abbey, is the Book of Kells, a fabulous illuminated manuscript Gospel book in Latin, that was almost certainly created on Iona, before being taken for safety (from Viking raids) to Ireland, where it is to this day on permanent display at Trinity College Library, Dublin. 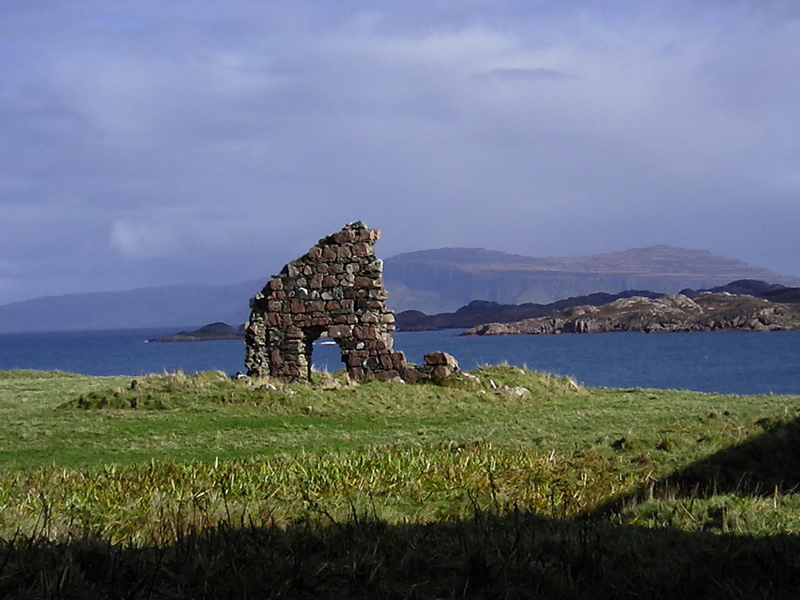 Sadly, with so much to do, we ran out of time to walk round the island. It is only 3.3 square miles, with views to die for, which is why we are contemplating going back to stay another time. One of the sights on my ‘to see’ list was the spouting cave, which is on the far side of the island. As we didn’t make it, I thought I’d share this video, so you can understand why I wanted to see it – even more galling was that the weather conditions were perfect for it to be at its best on the day we were there. But hey ho, a day is only so long. 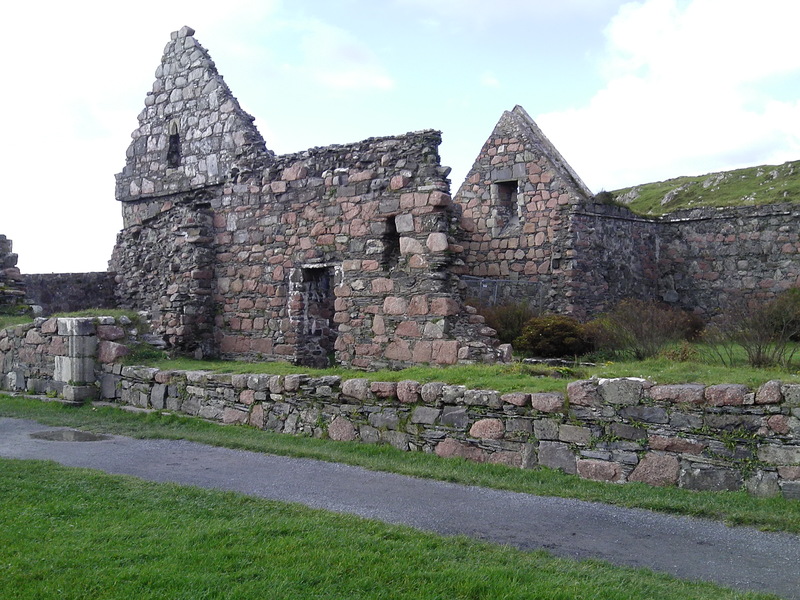 Hope you’ve enjoyed your virtual visit to Iona. Thanks for that lovely tour. 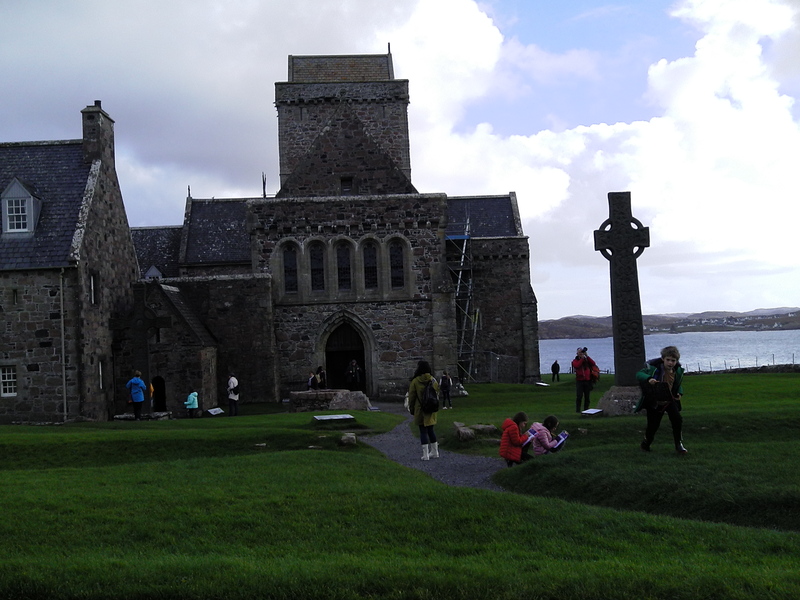 I have visited Iona only once- four of us ferry to Mull, coach across Mull then the little ferry to Iona. The sun was shining and my first impression was the beautiful white sand. After a relaxing lunch at the hotel, sitting outside enjoying the view, we realised we didn’t have that much time left. 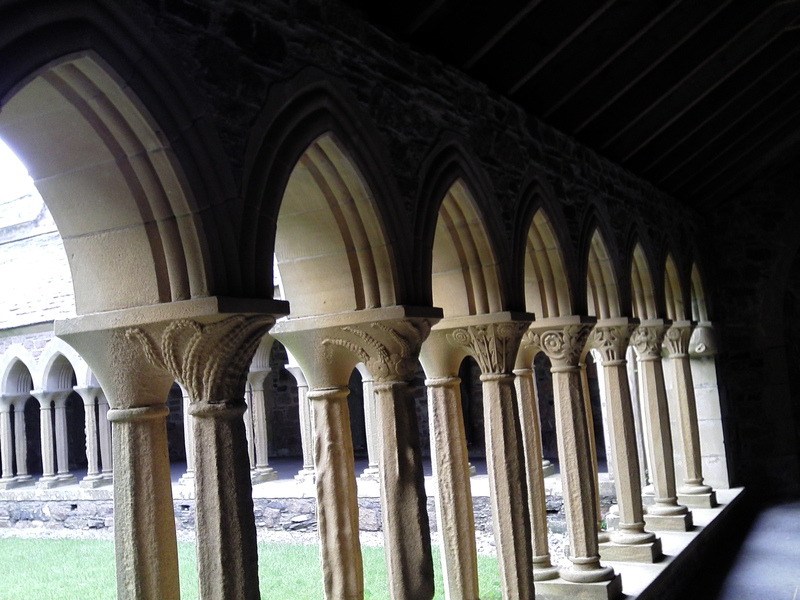 I opted to leave the others looking round the abbey and wandered up the road taking in the ambience! White cottages with sheep and boulders scattered under washing flapping in the breeze. A short visit somewhere special is more memorable. It is delightful, being able to delve into history first hand like this. 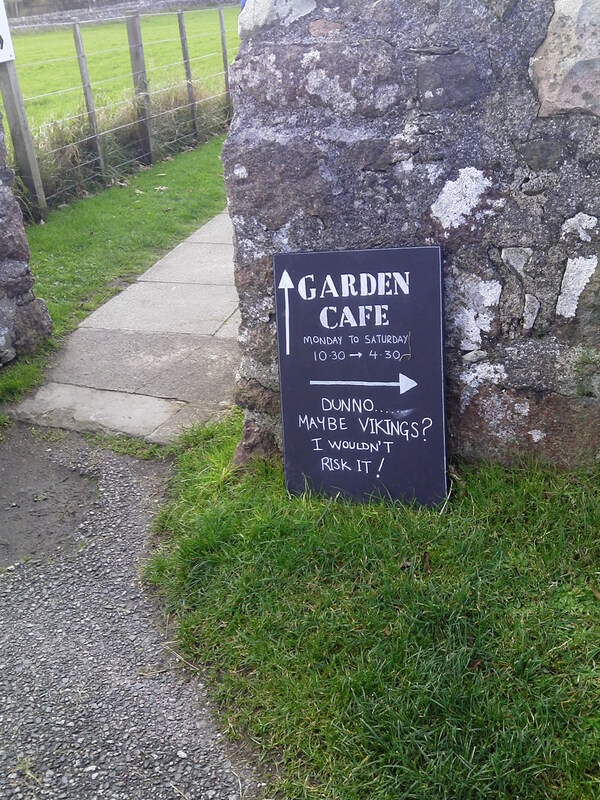 And as to the Vikings getting to Canada – I wouldn’t be surprised, they were epic voyagers!